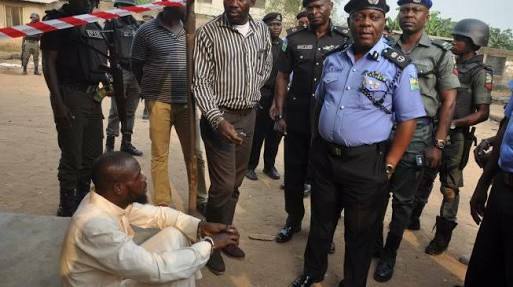 The Lagos State Police Command has arrested an acclaimed Islamic cleric, Abdulfatai Kayode, with suspected human parts on Okedumola Street, Alakuko area of the state. Female private parts, a kidney, intestines, a heart, lap, among other human parts, were allegedly found in his apartment. Kayode was apprehended on Tuesday when the state Commissioner of Police, Edgal Imohimi, led operatives to the community. The suspect said the parts were given to him by a herbalist identified simply as Sadiq for safekeeping. Sadiq, who lives on Amje Igbeleyi Street, Alakuko, was not at home when the operatives visited his residence. It was learnt that Sadiq was arrested later in the day. Imohimi attributed the arrests to effective community policing. “The recovered human parts, which included female private parts, heart, kidney and lap, were stored in a container mixed with liquid substance,” he added.